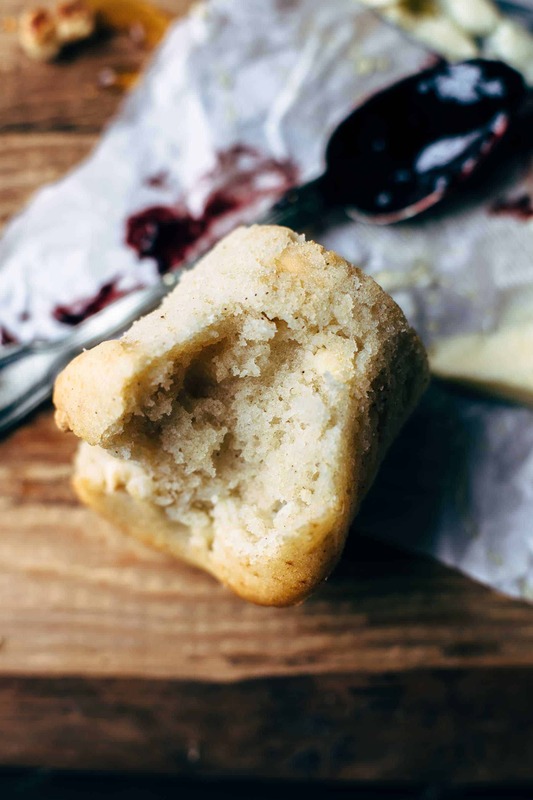 These super soft White Chocolate Muffins are perfect for dessert or breakfast. Just 9 ingredients and 10 minutes prep time. Soft, rich, and moist. Why the heck is white chocolate not as popular as milk or even dark chocolate? I have to say that I love white chocolate. I mean, I love every kind of chocolate, but white chocolate is very special. 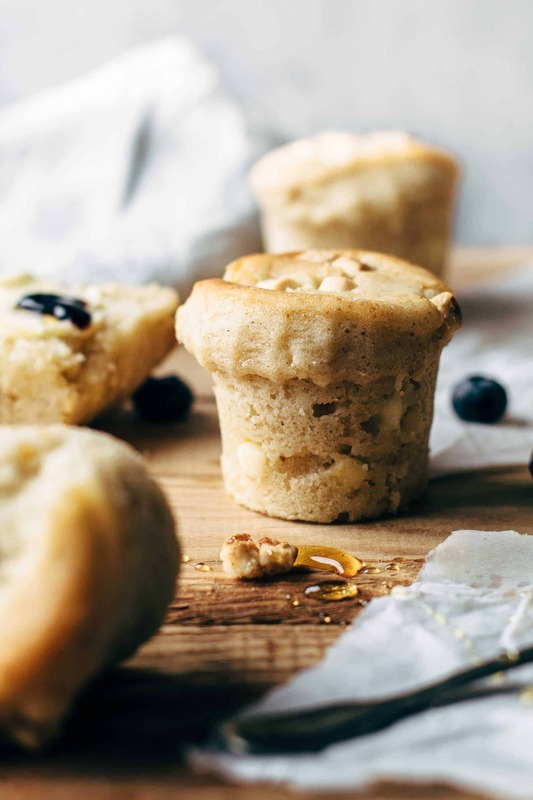 With this White Chocolate Muffins recipe, he is now converted to us white chocolate lovers. Woohoo. 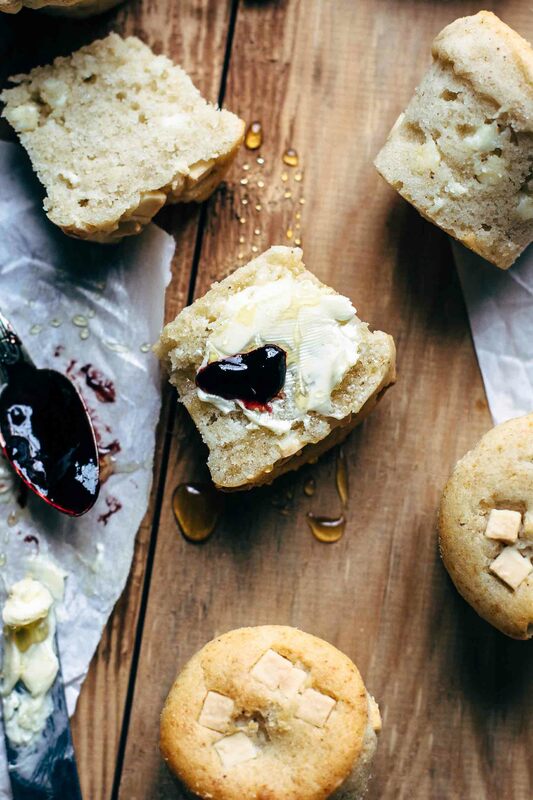 How should a perfect muffin be? Soft, rich, and moist. And to get super soft, rich, and moist White Chocolate Muffins, I increased the amount of oil in the batter. The batter is thick enough that the white chocolate chunks don’t sink up and as liquid as possible to get a lighter texture at the end. The texture is in-between a cupcake and a muffin. I didn’t just add white chocolate chunks to the muffins. 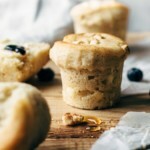 To get the ultimate white chocolate taste, it was clear that I need to add white chocolate to the muffins batter itself. After experimenting a few times, I ended up with adding 3 tbsp of grated white chocolate. The texture was much better than with adding melted white chocolate. I grated the chocolate like parmesan. 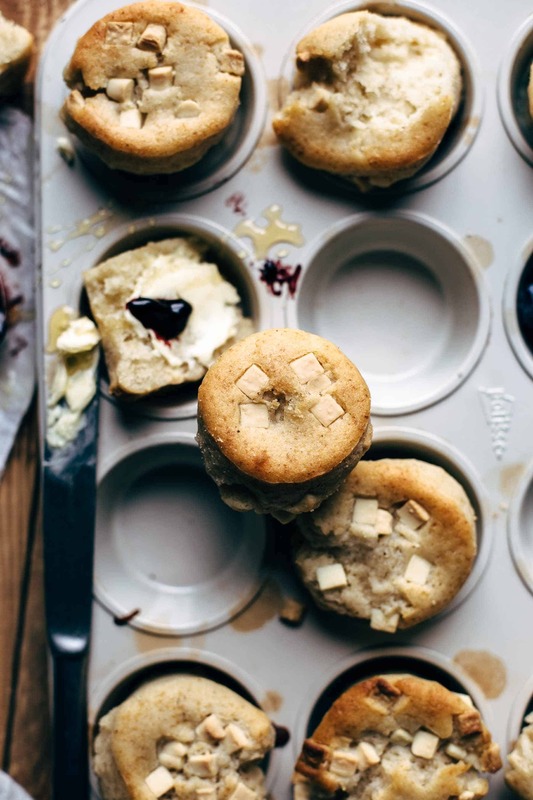 If you make this super awesome White Chocolate Muffins recipe, leave a comment, rate it and tag a photo #alsothecrumbsplease on Instagram! Would love to see your snap! 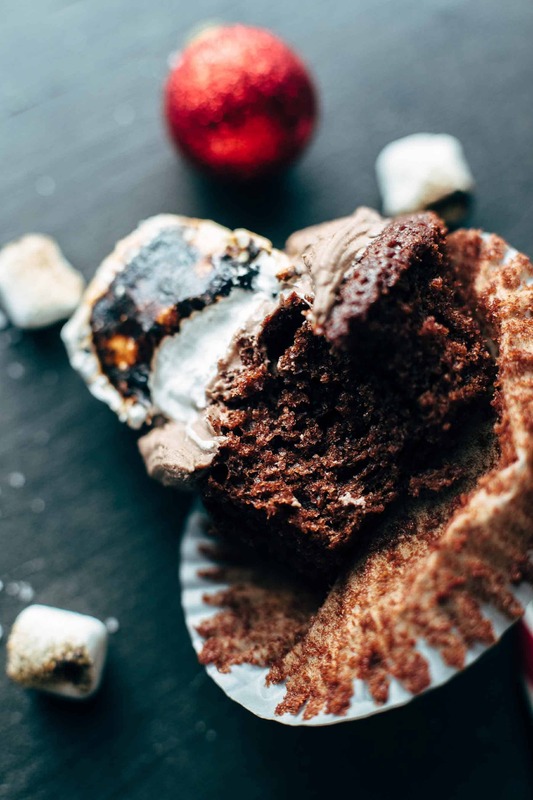 You may also like White Chocolate Cupcakes with White Chocolate Frosting, Perfect Hot Chocolate Cupcakes, or click here to see more chocolate recipes. In a large bowl sift together flour, sugar, baking powder, and salt. Stir to combine. Set aside. 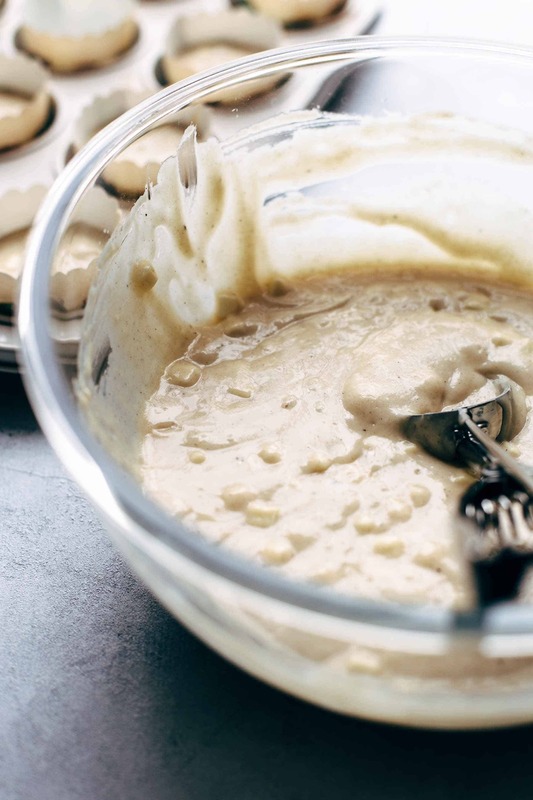 In another large bowl whisk egg, buttermilk, oil, and vanilla* just until combined. Add dry ingredients and stir to combine. Fold in grated white chocolate and white chocolate chips. Divide batter into muffin liners and sprinkle a few additional chocolate chips on top. Fill liners almost full. You will get about 12 muffins. Bake for 5 minutes at 425°F (220°C) then lower the temperature to 350°F (175°C) and bake additional 15-17 minutes or until a toothpick in the center comes out clean. Let cool to room temperature. Store leftovers at room temperature up to 3 days. Hello, I tried this recipe and my batter was not liquify like the one in your video, am I doing something wrong? Hi Christa, I’m sorry that you had troubles with the recipe! The only guess I have is that you had too much dry or too little wet ingredients in the batter. Always spoon and level the flour in the measuring cup or you have too much flour in the batter. Did you use large eggs? How did it turn out? How awesome, Christa! I’m so happy that they turned out well 🙂 Thanksgiving you so much. So keep in mind to spoon and level the flour for all of my recipes. happy baking!